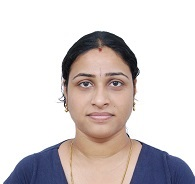 Ms Aparna RamMohan leads SriSattva Group as the Managing Director of the Group. She is a Chartered Accountant (India), Chartered Global Management Accountant (US), Chartered Management Accountant (UK). She started her career with Price Waterhouse Coopers before she began her entrepreneurial journey in 2009. Highly motivated individual who spreads her enthusiasm to achieve and perform. Through her knowledge and capabilities to come up with innovative solutions has hauled many Companies out of distress and back on track. Her academic interests are as high as her professional commitments. Her articles are published in various Global finance related magazines and she is a popular speaker at various knowledge forums, business conferences and academic seminars. She plays role of an advisor, mentor and director in various Companies. She is recognized as a GST experts and is recognized as GST trainer for Institute of Chartered Accountants of India for other professionals and finance personnel. She has contributed to GST transition through multiple awareness programs conducted under her able leadership and expert opinion reports. MSc (Chemistry), CAIIB, PGDBM and is a Lawyer by qualification with 40 years of Senior Level Banking Experience. He retired as Chief General Manager, Chief Operating Officer and Chief Vigilance Officer of one of the largest nationalized banks of India in the year 2015 before he joined the SriSattva Group. He handles Corporate Risk Advisory, Risk Management, Forensic Investigation, Fraud Risk & Vigilance Management, Corporate Governance & Compliance and Corporate Growth Strategies. He worked very closely with Punjab National Bank Board in formation of policies and led various teams to create risk rating and productivity measurement models for the organization. 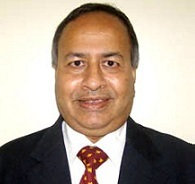 He served as Director in various organizations including, Everest Bank Nepal, Experian India, Smera India, Assest Recovery Subsidiary of IFCI. He focuses on the legal and compliance advisory at SriSattva Group. His legal expertise includes corporate law advisory, credit risk management and insolvency advisory.